Survival equipment in a water-resistant bag plus our stainless steel Survival Bottle with lifesaving information printed directly on the bottle. 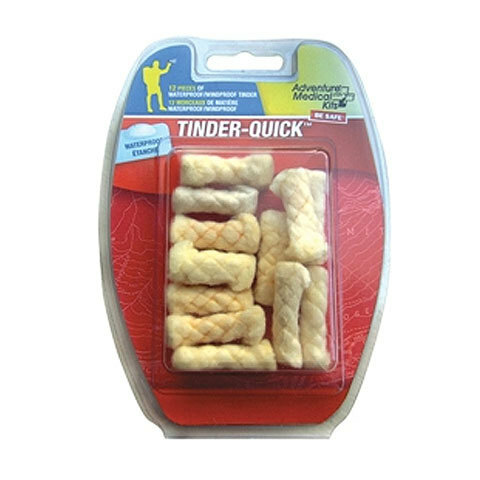 Tinder-Quik™ is waterproof and burns for 2-3 minutes giving you plenty of time to light a fire. USOUTDOOR.com does not accept returns on dog treats, camping food, and first aid/ medical kits.